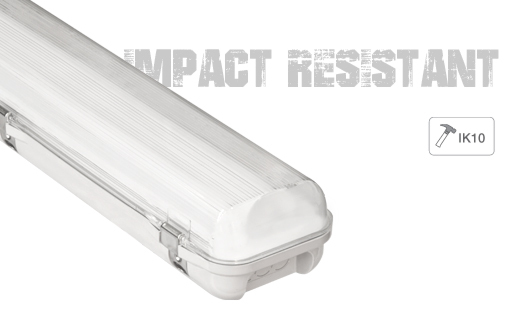 The ZWP Weatherproof LED Batten is now impact resistant with an IK10 rating. Having recently been tested for impact resistance, the ZWP Weatherproof LED Batten is now IK10 rated. With an IK10 rating and screw-fix option mounting clips the ZWP22 and ZWP44 fittings are an excellent high output option for installations requiring vandal-proof luminaires. The ZWP Weatherproof LED Batten is also available with an optional battery backup emergency system in a maintained or non-maintained emergency option. To find out more go to our ZWP224 or ZWP444 Product pages or contact one of our sales reps.